Rise Nation entered the Fortnite scene in June 2018 and currently sponsors multiple players participating in a number of professional Fortnite events. Jamal “Whea7s” Lee is an American Fortnite Battle Royale for Rise Nation. Before moving over to Fortnite, he was a professional Call of Duty player and one of the inaugural members of Rise Nation. His career stretched throughout multiple Call of Duty titles with notable stints on both Team SoloMid and eUnited before announcing his retirement during the Call of Duty: WW2 season. Jamal now returns to Rise Nation this time as its first ever Battle Royale player. Joseph "r7" Mauro is an American Fortnite player for Rise Nation. Joining in September 2018, he has seen some top placings mostly alongside fellow Rise Nation teammate Scrupools. Logan "Scrupools" Vargas is an American Fortnite player for Rise Nation. Joining in 2018 as the organization's second ever Fortnite member, he would see some success playing alongside fellow Rise Nation teammates Whea7s, r7, and Joysick. Damion "XXiF" Cook is a Canadian Fortnite player for Rise Nation. After a tremendous performance at TwitchCon, he would join the organization in 2018 where he has seen some of his best placings alongside fellow Rise Nation teammates Ronaldo and Joysick. 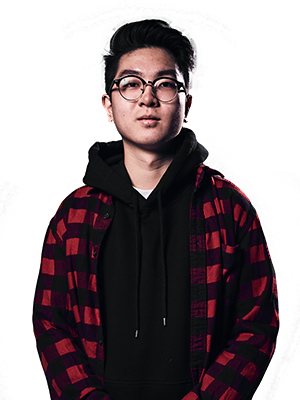 Ronald "ronaldo" Mach is a Canadian Fortnite player for Rise Nation. Joining in 2019, he was able to make a splash quickly after winning Epic Games' Secret Skirmish Duo invitational event in February of the same year. Joshua "Joysick" Tucker is an American Fortnite player for Rise Nation. Brother of former Rise Nation Call of Duty player and Esports Manager Jonathan "Pacman" Tucker, he was able to carve out his own legacy with some top performances alongside fellow Rise Nation teammate Scrupools.